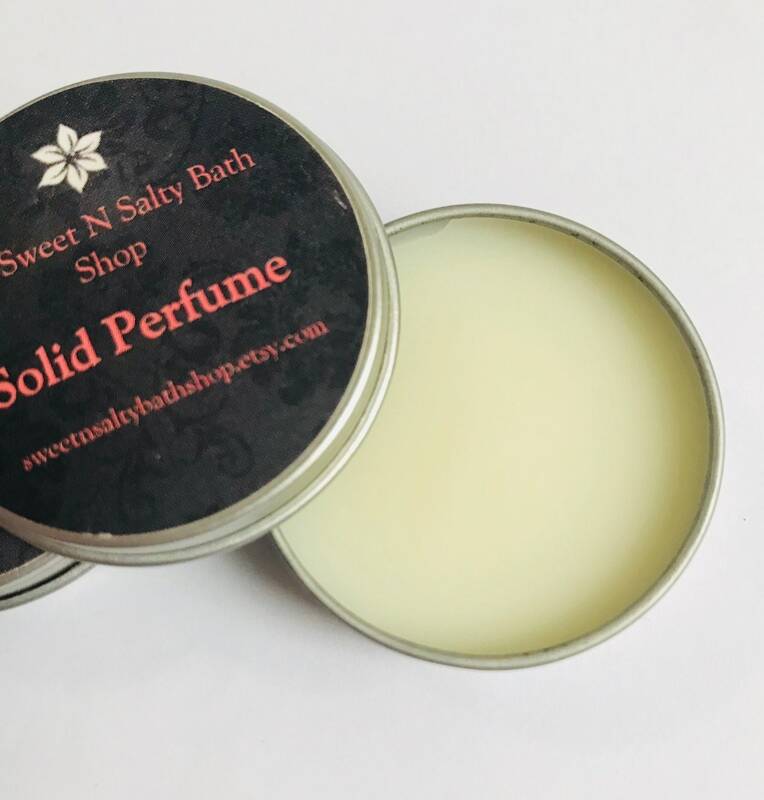 This handy little tin container of solid perfume comes in your choice of the following scents. 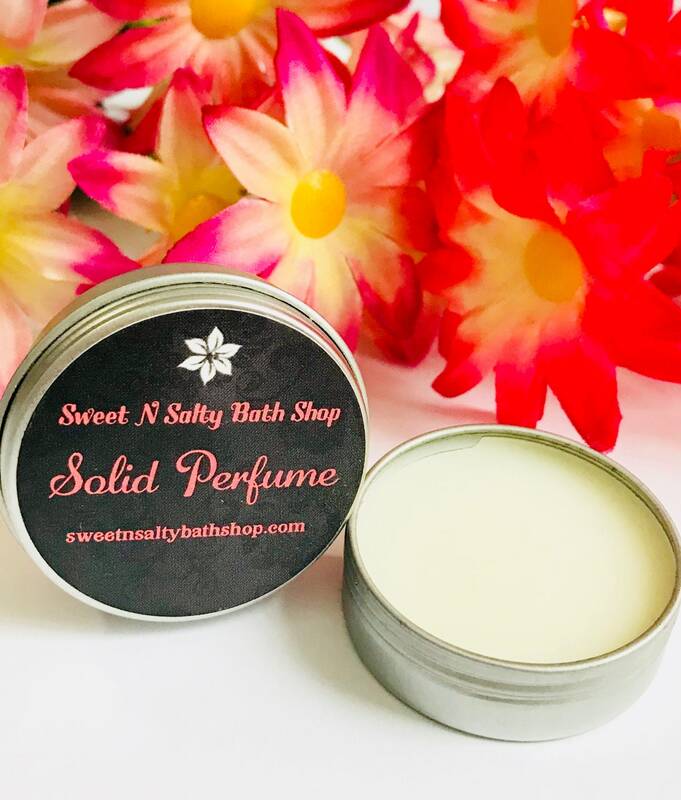 You can even mix and match scents to create your own custom perfume designed especially for you. Just choose customize under scent drop down menu and leave your scent choices in seller notes. Choose either .5 oz or 1 oz container. Convenient for traveling as they are solid and are easily stored in your handbag or make up case. 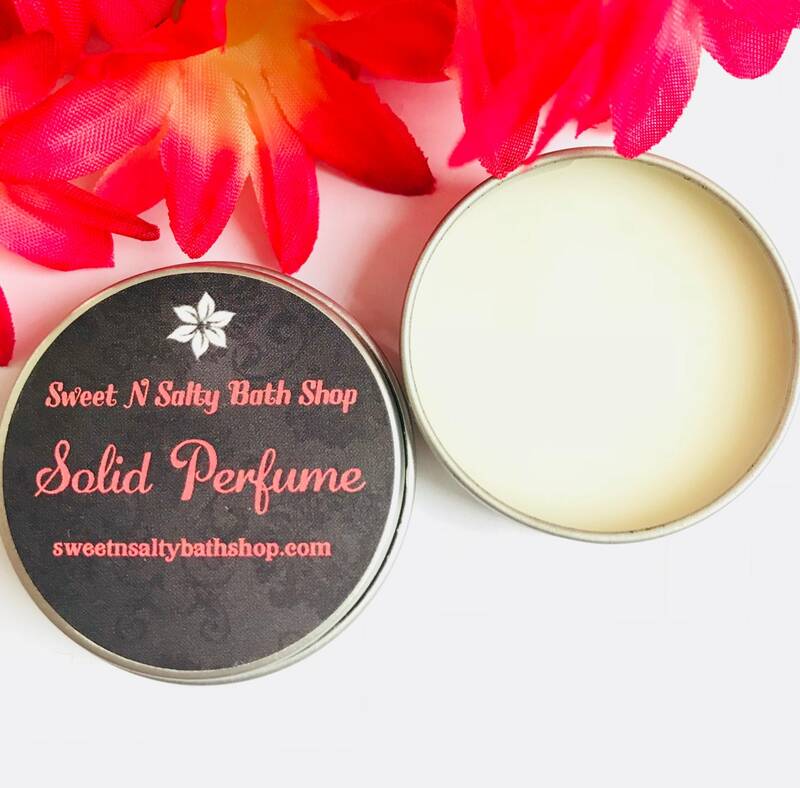 I love solid perfume because it is made with high quality, all natural ingredients and the scent lasts longer than sprays or body mists. Just rub onto wrists or neck for an all day scent that doesn't make your skin sticky when applying it. 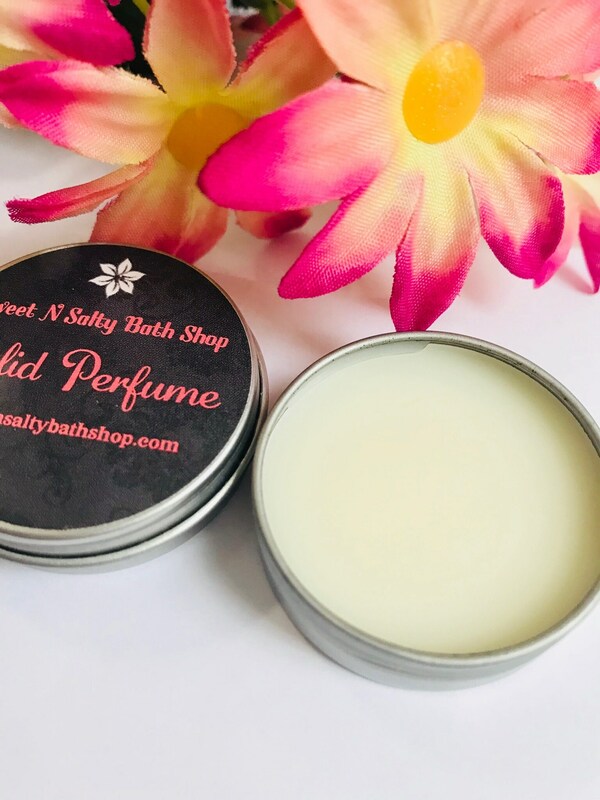 The scent will become stronger when it comes into contact with the warmth of your skin. 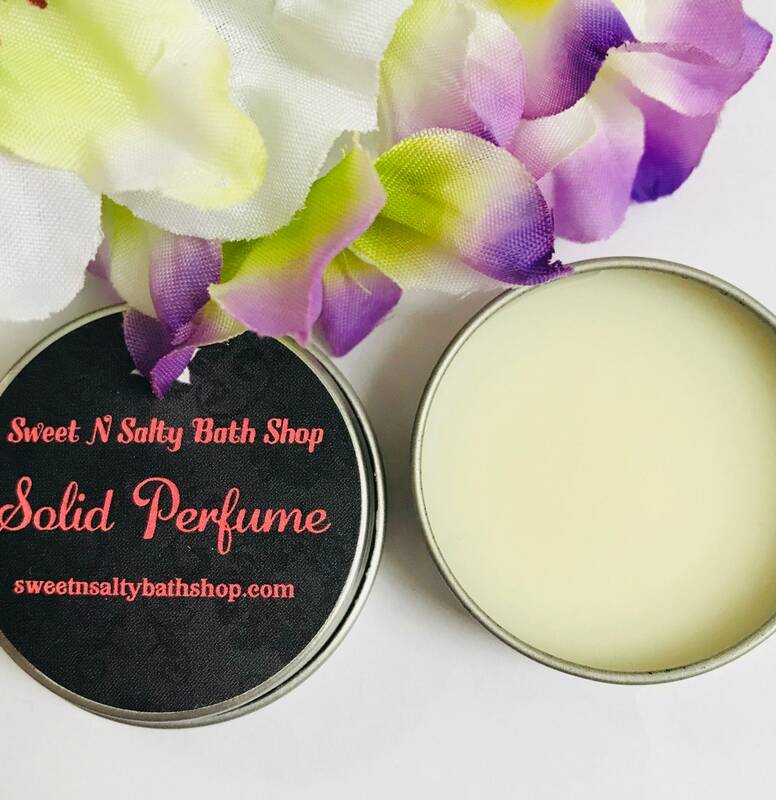 Makes a wonderful gift for all perfume lovers! 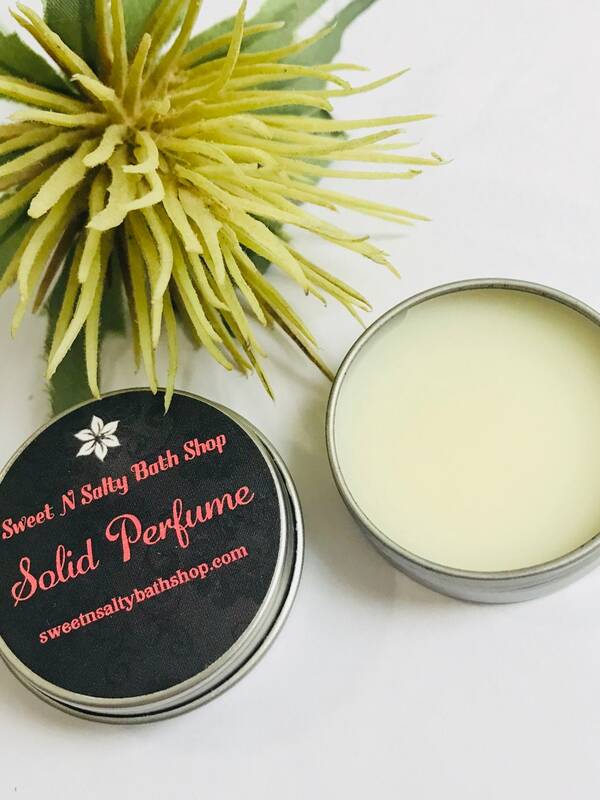 Each tin container of solid perfume comes elegantly labeled, wrapped in a cello bag with ribbon bow and ready for gift giving. Like us on FB to receive coupon codes, new product listings, give-a-ways and more!